Do you love the idea of putting your investment money into brick and mortar, but you don’t want to run your own projects? Real estate investing has its share of challenges—judging both the local market and the individual property, cash flow struggles, risks associated with both short term and long term investment and more. If you’re not ready to face those challenges yourself but you are a fan of Fix and Flip shows, and you enjoy tracking the progress of a rehab and seeing the return on investment (ROI) of the property, Real Estate Investment Trust (REIT) is an investment opportunity right for you. Read further to find out more about the long term stability REITs can provide, while limiting risk and earning regular dividends. A real estate investment trust is an investment in which at least 100 shareholders co-own a group of properties or other real estate-related assets. The same way that a mutual fund allows you to invest in a group of stocks—reducing risk and increasing profitability—a REIT allows you to invest in a diverse group of properties. Because many of the investments in a REIT represent long-term leasing and management of desirable properties with regular monthly income, investors can expect a more consistent return on investment each month. What’s more, because of the variety of properties and markets represented, investors are better able to weather market downturns. REITs provide long term stability only real estate can provide while limiting risk and earning regular dividends. 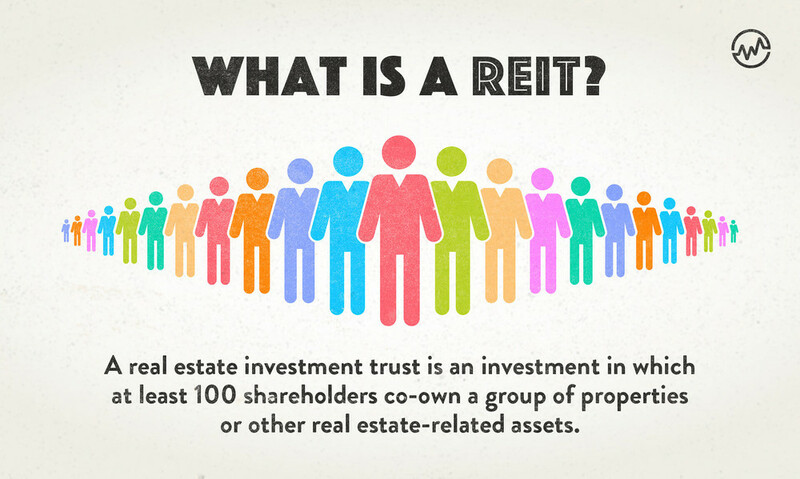 Unlike an individual investor or investment group, a REIT is a corporate entity managed by a board of directors or trustees. A REIT must pay a minimum of 90% of its taxable income in dividends to its shareholders annually. How does this benefit you the investor? It means you never have to worry about the REIT holding back revenue or using profits in a way that you don’t approve of. The REIT is specifically focused by law on your returns. What if your REIT ties up its money in complicated financial instruments? Fortunately, this is not allowed. Federal guidelines require REITs to keep at least 75% of their total assets in real estate, cash, or U.S. Treasuries, providing stability and keeping the trustees from chasing other financial options with shareholder money. Convinced that REITs are for you? Before you start investing, it’s important to understand the various types of REITs and the costs and benefits of each as you create your investing strategy. There are many areas of comparison and contrast, so we will divide them into publicly traded, publicly non-traded, and private REITs. Publicly traded REITs are listed on the New York Stock Exchange (NYSE) and are subject to SEC regulations and review. One of the big benefits of publicly traded REIT stocks is that their value is public information and easy to access and understand. Another major plus for publicly traded REITs is the fact that money invested is readily available — just sell your shares and cash out whenever you need to. Publicly Non-Traded REITs are also subject to SEC regulations and review, making them more transparent than private REITs. Because they are not traded, they are able to focus more on long-term profitability without worrying about the effect on their value. While many publicly non-traded REITs boast bigger ROI than their traded counterparts, they also typically have higher up-front fees. In addition, although they are required to disclose their performance, these reports may not be available until long after they have been calculated, making it difficult to judge performance before investing. Private REITs typically require a much larger investment and are typically only available to accredited investors. They may also require larger up-front and ongoing fees. Because they are not publicly traded, private trusts are not required to disclose their performance. 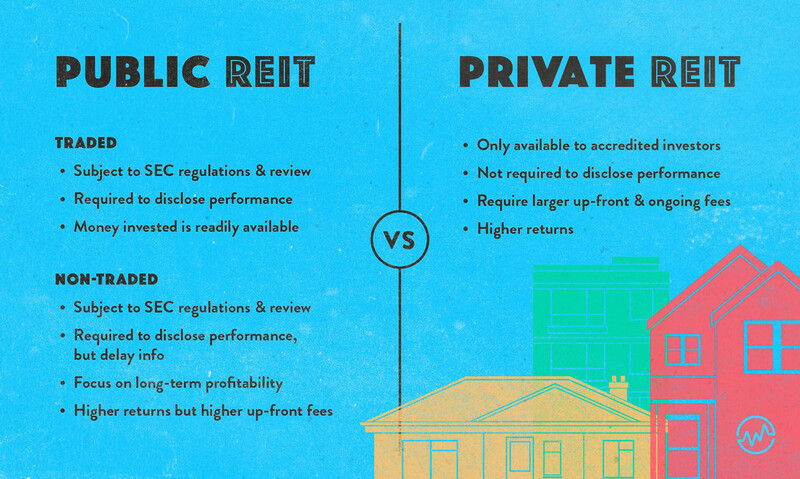 While private REIT returns are often larger, it is difficult to know how reliable these reports are since they are not subject to regulatory review. There are a variety of ways to begin investing in REITs. If you are interested in publicly traded REIT stocks, you can invest with a stock broker just as you would for any other publicly traded company. You can purchase shares of privately traded REITs through brokers who specialize in them or through financial advisors. One of the things you’ll want to think about when purchasing a REIT is the up-front cost associated with the one you’ve chosen. Here’s why: some private REITs and financial professionals charge hefty sales commissions and offering fees which can undermine the profitability you are looking for in your investment. Be sure that you have a solid grasp of the costs associated with the purchase, management, and any sales of your investments. 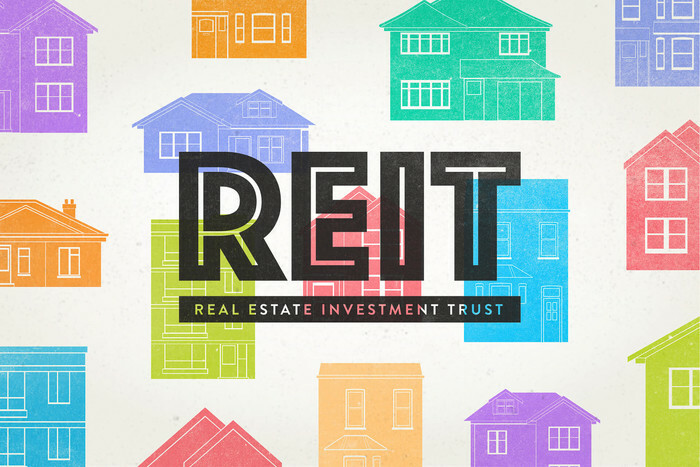 Now that you’ve answered the question, “What is a REIT?” it’s time to take the next step: determining which one is right for you. It’s critical to do your homework and determine which type of REIT is best for your particular financial circumstances and your financial goals, as well as how much liquidity you need and expect in your investment. 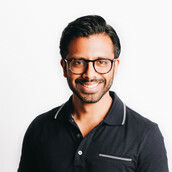 The Chief Investment Officer of Summit & Crowne, a real estate investment firm in Atlanta, Abhi Golhar has been investing in real estate since 2002.